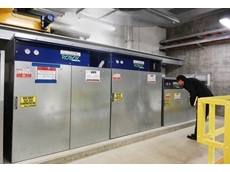 Compressed Air and Power Solutions Australia (Caps Australia) has been selected as a finalist in the Water & Wastewater category of the 2013 PACE Zenith Awards. 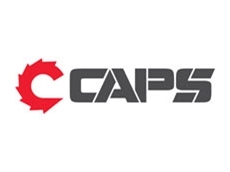 INGERSOLL-RAND (IR) has recently appointed CAPS Australia , as their sole distributor for all Air Solutions (Compressors) and Productivity Solutions (Tools) products, other than specialty tools. This change of distributorship will be effective from January 1, 2006. Caps, a 100% Australian owned and managed company, has been distributing Ingersoll-Rand products in the Australian market place for the past 25 years. 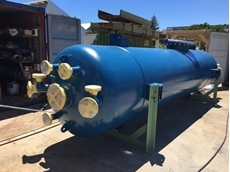 They have been fulfilling the needs of many Australian businesses and projects since 1980, and have become familiar with the Australian market place and the products that are suited to the harsh climatic conditions. 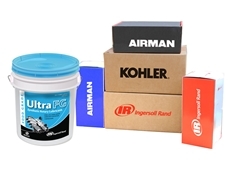 Exclusive rights to the Ingersoll-Rand range has now made Caps a one stop location for all IR products, as they have access to the best possible pricing and availability to pass on to the Australian market place. This new single line of distribution is not only a testament to Ingersoll-Rand's faith in Caps Australia but also a large responsibility for Caps to take on. Caps intend to work hard to look after every IR customer and to offer them the best sales and service possible. Caps have a nation-wide network of branches spanning Australia, being present in Melbourne, Sydney, Newcastle, Brisbane, Adelaide, Townsville, Perth and Kalgoorlie. Expert servicing is available from technicians who are all fully trained and certified by Ingersoll-Rand, as they must pass a range of tests before they can service any Ingersoll-Rand equipment. Servicing and emergency hire is available 24/7 and a fleet of 4WDs can reach any location at any time of the day or night. Caps' projects and manufacturing facility based in Welshpool, Western Australia can custom manufacture or modify any equipment to suit a business or project. 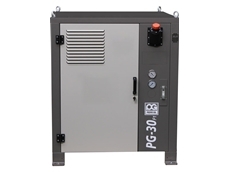 The design and manufacture is available for pressure vessels, compressor packages, blowers and special projects. Caps’ largest workshops have an ISO9001 quality system that is third party accredited by Lloyds Register Quality Assurance. Office procedures, staff training, warehousing and transportation are all covered by quality assurance guidelines designed to maximise safety and provide customers with the finest products and the ultimate service. The Ingersoll-Rand range of products is award winning and well-suited to the Australian climate. The products are available in over 55 countries worldwide and are renowned for their expert craftsmanship and reliability.